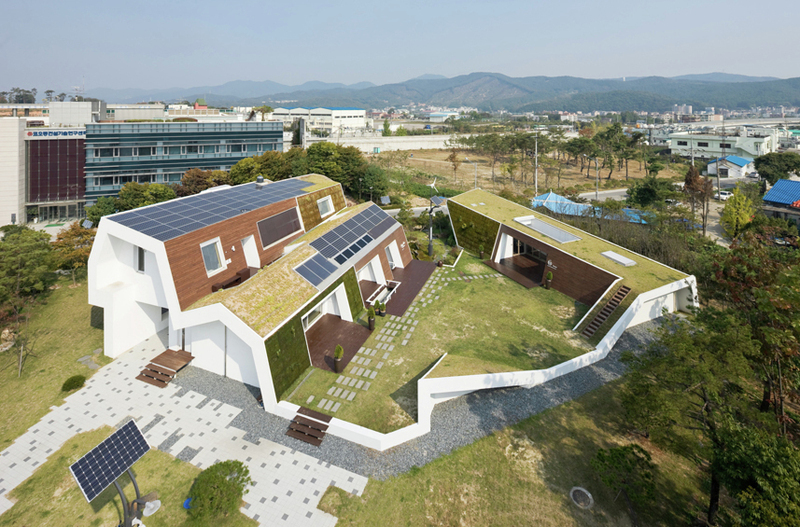 As impressive as the aesthetics are, the driving force behind this design were a series of eco-friendly interventions, ranging from solar power generation to passive heating and cooling systems. 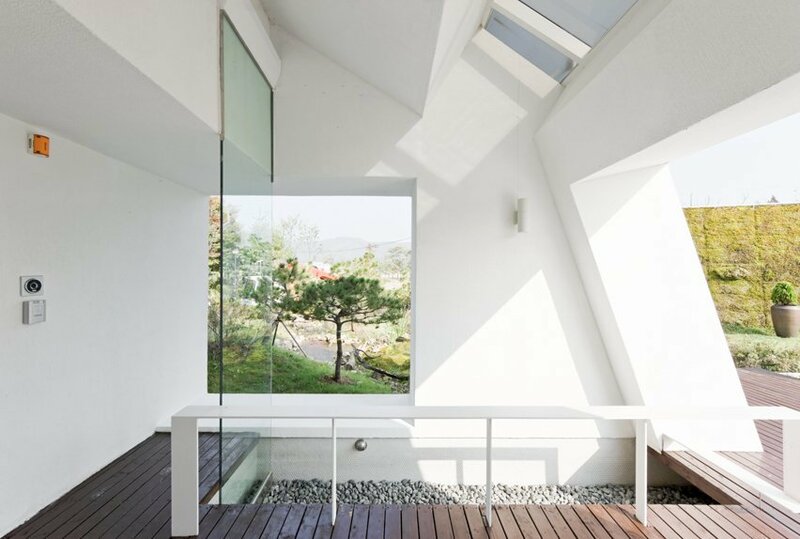 Unsangdong Architects see their creation as a prototype for environmental design as much as it is an exploration of the relationship between indoor and outdoor dwelling spaces. 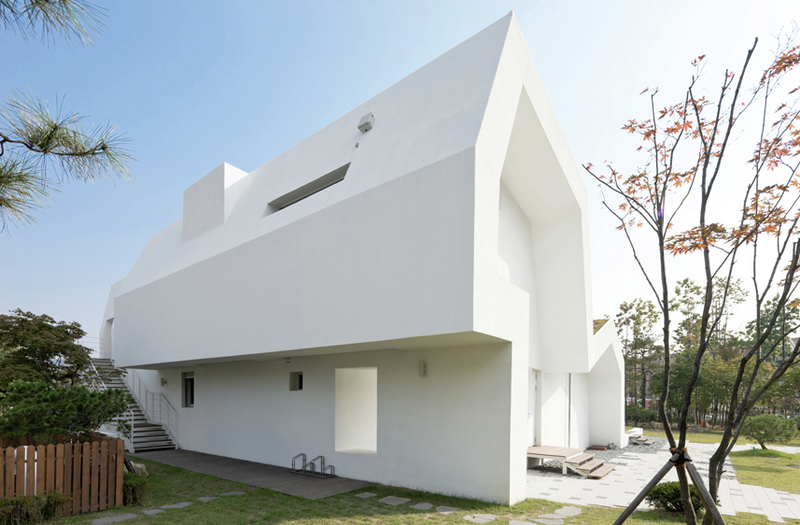 From the back, the E+ Green Home looks like a monolithic white volume. It doesn’t reveal its incredible stepped design until you look at it from another angle. The various grassy platforms extend out from multiple levels of the home. 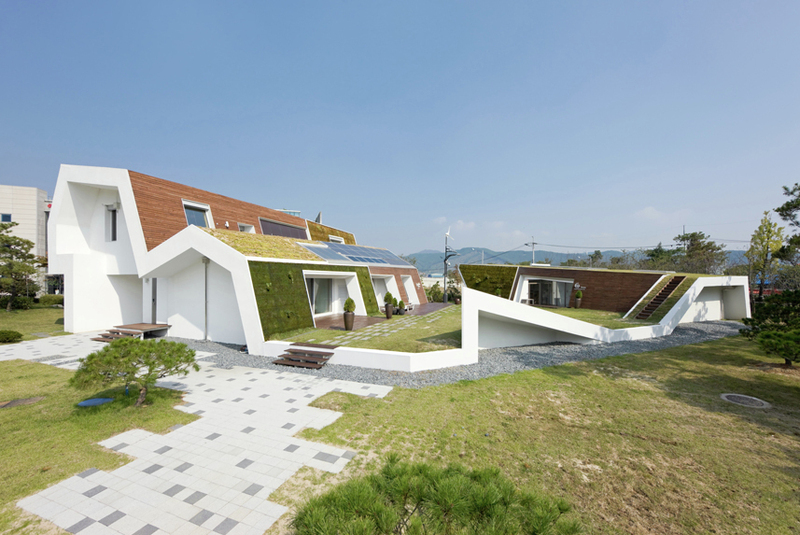 Solar panels cover the uppermost roofs for renewable energy. 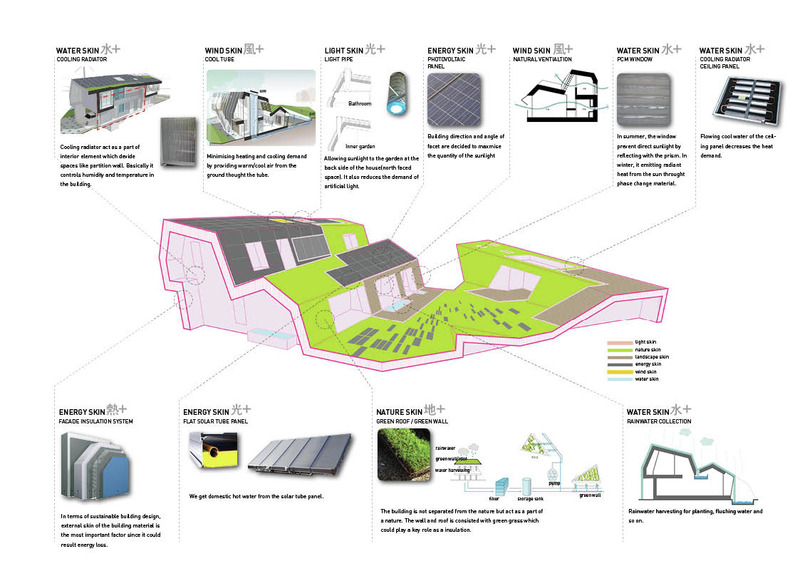 As cool as this green roof house is, most of its sustainability cred comes from its other notable features. A large part of any smart, long-thinking green design is measuring its impact, hence the hundreds of sensors designed to analyze the effect of the integrated greenery on internal and external CO2 levels and other monitoring devices.